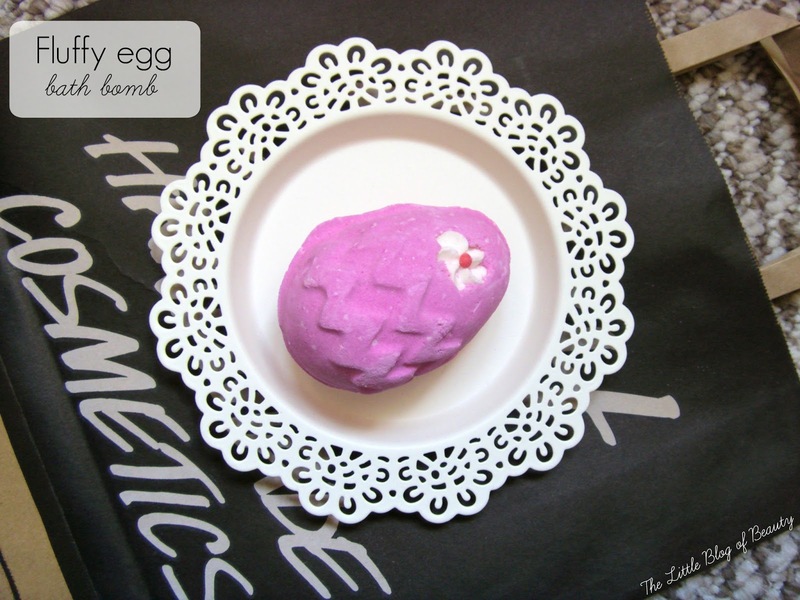 You know I recently posted about using my Hoppity Poppity bath bomb (I've just discovered this was actually right at the beginning of this month, where does the time go!)? Well the next day I jumped right back in the bath and used Fluffy egg*. That's a habit I definitely can't afford to keep up! If you'd like to read about Hoppity Poppity my post is here and you can read about the Lush Easter collection here. Like Hoppity Poppity this is quite a quick dissolver, taking maybe a minute to a minute and a half to disappear. As you can probably just see in the picture above this one is quite a fizzer and if it's near the edge of the bath you'll notice it spits little pink dots up the side of the bath. Almost instantly this turns the water a lovely candy pink colour and you're greeted with that candy sweet Snow Fairy fragrance. I don't think the scent on this one is quite as strong as Hoppity Poppity and didn't last as long either. I can't actually remember if I could smell this through the whole bath, but I was really pleased that I could actually smell this one at least while it was disolving. 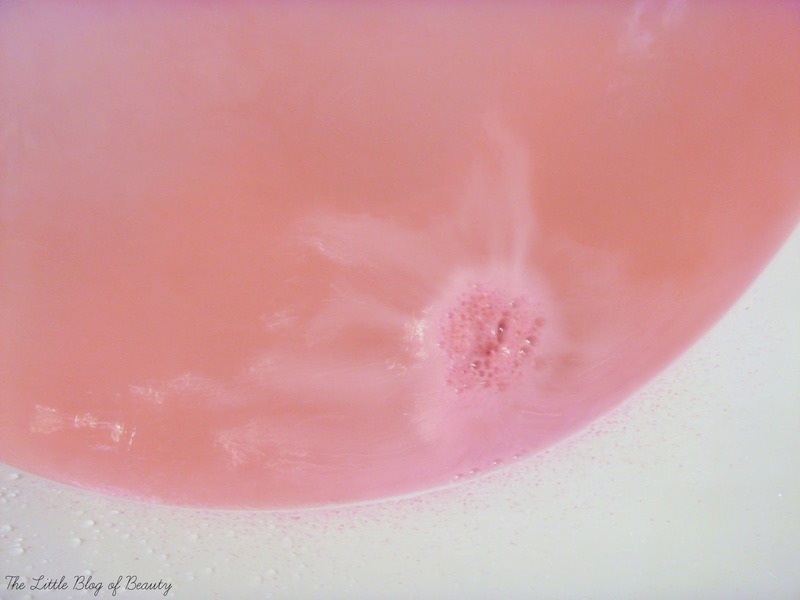 Any foam/froth that this produces while fizzing away disappears as soon as it does and you're just left with the candy pink water. Unfortunately I can't remember what my skin felt like after coming out of the bath but as there's no skin conditioning ingredients in there I'm guessing my skin didn't feel any better than when I went in. Although I think I prefer Hoppity Poppity because of his amazing fragrance this is a really nice reasonably priced bath bomb. Fluffy egg is £2.95 and is available in store and on the Lush website. Have you tried Fluffy egg? IT'S SO PINK. I'm a complete lush virgin (as natural as they are I don't trust all the ingredients as I can be horribly allergic) but I might be brave enough to try a bright pink bath because why the hell not.